What might delay your return? Immediate deductions for start-up costs – if you are thinking of starting your own business, you may be able to immediately deduct a range of expenses, including professional fees (such as legal and accounting fees) (which began on 1 July 2015). Changes to gender identifiers – the ATO no longer asks for an individual taxpayer’s gender on the tax return form, though the ‘Spouse details’ section does ask for gender (and includes a number of options) and has been retained for administration purposes. Net medical expenses tax offset phase out – from 1 July 2015, the net medical expenses tax offset can only be claimed for a limited number of items including disability aids or aged care. The offset will be abolished from 1 July 2019. First home savers accounts abolished – First Home Saver Accounts were abolished on 1 July 2015 and became ordinary savings accounts. Earnings from these accounts must be included in your tax return. Business services wage assessment tool payment – this tool has a specific application for eligible employees who worked for an Australian disability enterprise and received a lump sum. The ATO started processing 2015-16 tax returns on 8 July and started paying out any refunds shortly after that. The ATO aims to finalise the majority of electronically-lodged current year returns within 12 business days of receipt. The 2016-17 Federal Budget contains a proposal to raise the income threshold at which the 37% marginal tax rate will start to apply from $80,000 to $87,000. However, at the time of writing, this measure had not yet become law as the Government was in caretaker mode due to the 2016 Federal Election held on 2 July this year. To benefit from this measure, your taxable income must be more than $80,000. The maximum amount of tax you can save is $315. See the tables below for the current tax rates that are in the law and apply from 1 July 2016 and the proposed tax rates should the measure become law. If you receive an allowance from your employer, it does not automatically entitle you to a deduction. You still need to show that you have spent the money and it was related to your job. The ATO has retired its legacy online lodgement tool e-tax and replaced it with Tax Time 2016 (myTax), which will became available on 1 July 2016. The ATO has said myTax has been expanded to do everything that e-tax could do and more. It has been upgraded and improved since last tax time and is now suitable for any Australian who wants to lodge their own tax return – regardless of their tax affairs. Australians with rental properties be able to use myTax for their 2015-16 return and will also be able to take advantage of the fully integrated tools and calculators. One of these new tools allows property investors to record depreciation and capital gains. myTax has replaced e-tax and is no longer just for individuals. 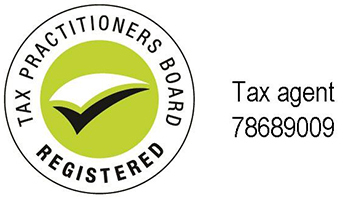 Sole traders who prepare their own tax return will be able to lodge online using myTax. myTax has been upgraded to include business and professional items sections for sole traders and distributions from a partnership or trust. myTax also gives sole traders access to new online tools to assist with their tax return. Do you need to complete a partnership, trust or company tax return as well? To use myTax, you will need a myGov account. If you use a tax or BAS agent, check with them before creating a myGov account. If you need to complete a partnership, trust or company tax return these will need to be lodged through a tax agent or on paper. If you are a sole trader planning to use myTax, you will find a number of inbuilt tools to help you save time and avoid mistakes. The new depreciation and capital allowance tool will help you work out the deductible amount for your depreciating assets. It will also reduce your search time when determining the effective life of an asset. The new capital gains tax record keeping tool can help you calculate your capital gains events. Capital gains events might include the sale of a rental property, vacant land, holiday home, real estate or shares in a company or units in a unit trust. While the online tools for lodging tax returns are improving for individuals, your tax agent is most experienced in preparing and lodging tax returns. For specialist advice and to ensure you declare all the income you are supposed to and claim the right deductions for you, please see your tax agent. Getting your tax return wrong could be costly for you. The ATO has queries about the information provided on your return. Don’t include information that isn’t necessary. In May this year, the Government announced that it would conduct a review of working holiday visas and postpone any changes to the current system until January 2017. The Government has listened to rural and regional communities (about possible labour shortages) and those in the tourism sector that have raised these concerns. The Government has agreed to review the tax and that a further extension to next January was a good outcome for regional Australia. The backpacker tax was part of the Government’s 2015-16 Budget proposal to change the tax status of temporary working holiday makers from that of ‘resident’ to that of ‘non-resident’ from 1 July 2016. If implemented, people in Australia on a working holiday will lose access to the tax-free threshold and will be subject to the 32.5% ‘backpacker tax’ on income of up to $80,000. A review of the proposed ‘backpacker tax’ was conducted in August this year with the outcomes not yet known. As mentioned in the previous edition of TaxWise, if you are employed by a small business, your employer is now able to provide you with multiple work-related devices without incurring fringe benefits tax (FBT) liabilities. This applies even if the devices have similar functions. Devices can include laptops, tablets, mobile phones, calculators and GPS navigators. Items purchased prior to 1 April 2016 but supplied to employees after this date are eligible for the exemption. Multiple devices bought and given to employees before 1 April 2016 are not eligible. In these cases, the exemption only applies to one item for that FBT year. With Tax Time underway, the ATO is encouraging people to check which work-related expenses they are entitled to claim and understand what records they need to keep. The ATO will be paying extra attention to people whose deduction claims are higher than expected, in particular those claiming car expenses – including those for transporting bulky tools, and deductions for travel, internet and mobile phone, and self-education. The ATO advises that there has been a change in the rules for calculating car expenses this year and people need to use a logbook or the cents per kilometre method to support their claims. In particular, if claims are substantially higher than others in similar occupations, earning similar amounts of income, a message will appear, asking taxpayers to check their claims. The ATO will also take a closer look at any unusual deductions and contact employers to validate these claims. Therefore, it is best to get your claims right from the start. Your tax agent is the best person to help you do that. The ATO has been sending an email or SMS to clients with ‘Division 293’ tax liabilities to let them know a notice of assessment is issuing to their myGov inbox. Division 293 applies to individuals whose income is greater than $300,000 and imposes additional tax on concessional contributions individuals affected make to their superannuation. This additional message is being sent to reinforce that clients should check the notice in myGov as it contains important information about tax on their super contributions. The notice you receive might also include notice of a deferred debt amount. Deferred debt amounts are assessed on your defined benefit contributions. The amount of defined benefit contributions represents the annual increase in a defined benefit superannuation account. This amount is based on the benefit an individual is expected to receive when they leave the fund. If you have received one of these messages, speak to your tax agent to find out what you should do next to ensure you meet all your relevant obligations. In the 2016-17 Federal Budget, the Government announced that, from 1 July 2017, certain individuals under age 75 will be able to claim an income tax deduction for personal superannuation contributions. These amounts will then count towards an individual’s concessional contributions cap and be subject to 15% contributions tax in the fund. Currently, only individuals who derive less than 10% of their income from employment sources can claim this tax deduction. To access the tax deduction, individuals will need to lodge a notice of their intention to claim the deduction with their superannuation provider. Generally this notice will need to be lodged before they lodge their income tax return. Individuals can choose how much of their personal superannuation contribution to claim a deduction for. Certain untaxed and defined benefit superannuation funds will be prescribed, meaning members will not be eligible to claim a deduction for contributions to these funds. If a member of a prescribed fund wishes to claim a deduction, they may choose to make a personal contribution to another superannuation fund. Legislation is currently being developed for this measure. If you would like to make additional contributions to your superannuation and you want to know if you can claim a tax deduction for them, you should speak with your tax agent. If you earn income through the sharing economy, you have tax obligations that you should know about. The sharing economy refers to the sharing of goods and services where the buyers (users) and sellers (providers) are connected through a facilitator who may be operating through an app or a website. completing odd jobs, errands, deliveries etc. determine if you can claim GST credits/input tax credits and income tax deductions for your expenses. The nature of the goods or services you provide and the extent of your activities will determine what you need to do for tax purposes. Seek advice from your tax agent about what your income tax and GST obligations are if you earn income from or provide services in the sharing economy. From 1 July 2017, overseas businesses will be required to pay GST on international sales of digital products and services provided to Australian consumers. If you sell digital products or services to Australian consumers and you meet the registration turnover threshold of over $75,000 Australian in sales, you will be required to register for, report and pay GST on sales made. If you sell through an electronic distribution platform, for example, an app store, the platform operator is responsible for registering, reporting and paying the GST. Examples of digital products include downloaded movies, games and electronic books. Examples of services include architectural, legal or educational services. The new law applies very broadly to sales of anything except non-digital goods or real property. New rules have been introduced to strengthen the foreign resident capital gains tax regime to assist in the collection of the CGT liabilities of foreign residents. Australian residents buying or selling real property with a market value of $2 million or more need to be aware of the new withholding tax rules which came into effect on 1 July 2016. Australian residents who are selling a ‘taxable Australian property’ with a market value of $2 million or more need to obtain a clearance certificate from the ATO to confirm a 10% withholding amount does not need to be withheld from the transaction. A seller (either Australian resident or foreign resident) needs to provide a clearance certificate to the buyer by settlement, or the buyer will be required to withhold 10% of the sales price and pay this to the ATO. A seller can claim a credit for the withholding amount paid to the ATO against the final tax assessed in their income tax return. A purchaser can vary down the 10% non-final withholding tax if the seller has received a variation notice from the ATO and provided it to the purchaser prior to settlement. Though conveyancers do know about these new rules, your tax agent is best placed to assist you in applying for a clearance certificate (if you are a seller) and helping you with your obligations (if you are a buyer). The ATO has published a new overview for directors on what information they can expect to obtain from the ATO regarding their companies, particularly for companies in liquidation. Once a company is insolvent, its pre-insolvency ‘covered entities’ are no longer relevant for the purpose of accessing information about the company. This has implications for former directors trying to obtain information about their company from the ATO. In the 2016-17 Federal Budget, it was announced that from 7.30pm (AEST) on 3 May 2016 there will be a lifetime cap of $500,000 on non-concessional superannuation contributions. The lifetime cap will take into account all non-concessional contributions made on or after 1 July 2007 and will be indexed to the Average Weekly Ordinary Time Earnings (AWOTE), increasing in $50,000 increments. If an individual has exceeded the cap prior to commencement, they will be taken to have used up their lifetime cap but will not be required to take the excess out of the superannuation system. If an individual makes contributions after commencement that causes them to exceed their cap, they will be notified by the ATO to withdraw the excess from their superannuation account. Individuals who choose not to withdraw the excess amount will be subject to the current penalty arrangements. Non-concessional contributions made into defined benefit accounts will be included in an individual’s lifetime non-concessional cap. Following the Federal election, in August, the Treasurer, the Hon Scott Morrison MP, confirmed that there will be changes to the Government’s proposal for a lifetime cap of $500,000 on non-concessional superannuation contributions. Mr Morrison said draft legislation on the measures will be coming out shortly with one of the exemptions being “If you have entered into a contract before Budget night to settle on a property asset out of your self-managed super fund and you are using after tax contributions to settle that contract – well, that won’t be included." At the time of writing, draft legislation had not yet been released. Your tax agent will be keeping abreast of the changes to this proposal. Chat to them about how this proposal might affect your personal circumstances. There has been an increase in aggressive retirement planning schemes, where individuals avoid paying tax by channelling money inappropriately through a self-managed superannuation fund (SMSF). The ATO has now introduced Super Scheme Smart – a new initiative aimed at educating individuals about the potential pitfalls of retirement planning schemes that are of increasing concern to the ATO. Super Scheme Smart provides information and resources including an information pack, case studies and videos. More information can be found on the ATO’s website here. self-funded retirees looking for the best ways to maximise their retirement assets and income. What is the ATO on the lookout for? Promoters of retirement planning schemes may incur significant punishment including prosecution and where intermediaries are found to have been encouraging clients to adopt these arrangements, the ATO will consider the application of the promoter penalty laws. The ATO may also consider referring the matter to the Tax Practitioners Board. Individuals caught using an illegal scheme identified by the ATO may incur severe penalties under tax laws. This includes risking loss of their retirement nest egg and also their rights as a trustee to manage and operate a SMSF. The ATO is encouraging people to report tax avoidance schemes via a confidential call to 1800 177 006, or via email to reportataxscheme@ato.gov.au. For more information about the specific schemes, visit ato.gov.au/superschemesmart. The ATO is currently reviewing arrangements where individuals (at or approaching retirement age) purport to divert personal services income to a self-managed superannuation fund (SMSF) to minimise or avoid income tax obligations as described in TA 2016/6 Diverting personal services income to self-managed superannuation funds. The ATO has requested that individuals contact them to resolve any issues and to minimise potential income tax and superannuation regulatory implications for the fund and the individual. Issues affecting the SMSF will be addressed on a case-by-case basis, but the ATO has advised that they will take the individual’s cooperation into account when determining the final outcome. Individuals and trustees who are not currently subject to ATO compliance action, and who come forward before 31 January 2017, will have administrative penalties remitted in full. However, shortfall interest charges still apply. To read about these arrangements and how the ATO can help, click here. If you have any concerns about what income amounts are going into your SMSF, talk to your tax agent.